OH MY GOSH, Ronnie! Sure enough, I click directly on your site and here is your book, the image, even – so similar to what I used in my post! I apologize if I infringed in any way – trust me, it was totally unintentional!! Wow. I might not believe it, were I you, but it’s completely true. My life is so chaotic lately with several events going on, along with traveling – interspersed with writing – that I totally missed this post of yours, and never saw the book image on your WP blog page. Anyhow, dear one, so sorry! Best of luck with your book! And perhaps I’ll go back and re-name my post. Ergh! No, Bela, really not necessary. I certainly don’t have any ownership over that title; in fact quite a few books are named the very same name, but are about different subjects. Oh, Ronnie, I changed it. I still remember a high school English teacher drilling into me the perils of plagiarism 😉 And though I know nothing is truly original, I still would never intentionally abscond with someone’s line. Congrats my friend, I shared this on FB! Many thanks; I think you have done a good deed for people who can use the techniques I did during that frightful time..
Congrats, Ronnie. I shared on Twitter! Many thanks, Lisa, and keep up your wonderful work in the New Year! I’d better be happy with the satisfaction of having written it, because getting people to know about it is harder than I imagined it would be. Wishing you all the best for 2014; and great success with the book! Thank you, Fransi; marketing is harder than writing ever was! 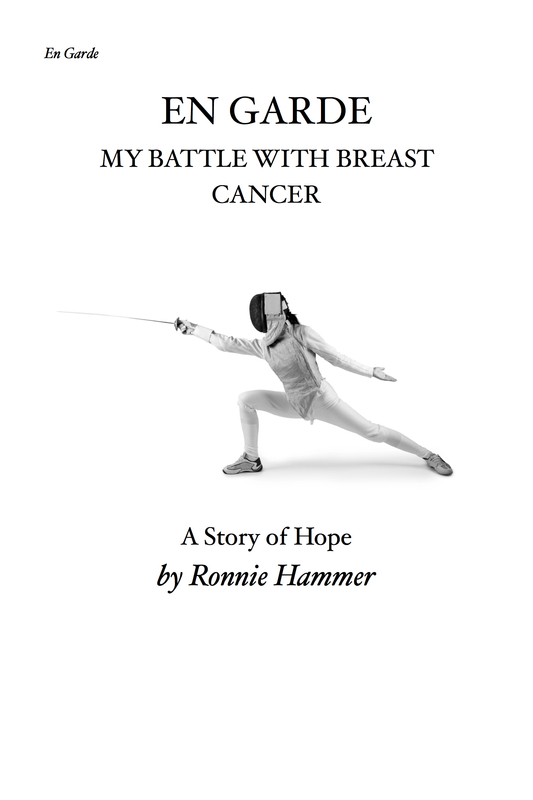 Just about two years ago Ronnie Hammer left a comment on my blog saying she was working on a book about her experience with breast cancer. Well, she’s finished it and here it is. You can order a copy through the link on her blog. Thanks, Andrew; I wasn’t sure how long it took to write. How is you brother doing? And how are you? I am doing great and so is my brother. Wonderful news! So glad to hear that. Thank you, Carina; I do appreciate your help in helping me let people know about the book. Congrats on your book. I shared on Facebook. Good luck! You are a sweetheart! Thank you so much for sharing my information on your Facebook page. Much appreciated! You are so right! 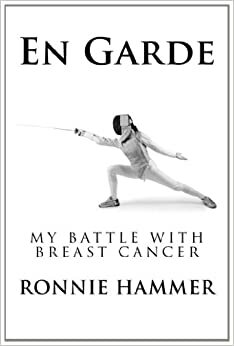 At the time I never thought I would write a book about the experience, but as I told people my story they encouraged me to write it and share my technique with others who need moral support and encouragement. Joseph, I thank you for sharing my information with your Facebook friends. I do hope my book brings comfort to those who need it most. Thanks, Bulldog; you are indeed a pal. Imagine people in South Africa learning about my book: that’s amazing. What is the google + button? Can I follow you there as I do on WP? That is very interesting; I’d like to try it. A big congratulatory hug to you! Would love to! Are you traveling much? Ronnie, I just posted this post on my Facebook page and wish you all the best. Thanks, Judy. My daughter posted it on her Facebook page and a woman from Sweden ordered one! Congratulations, Ronnie! I will post it a few places. Thank you, Shirley. I appreciate your efforts! Thank you, Jake; keep up your wonderful drawings. They’re always a please to see.